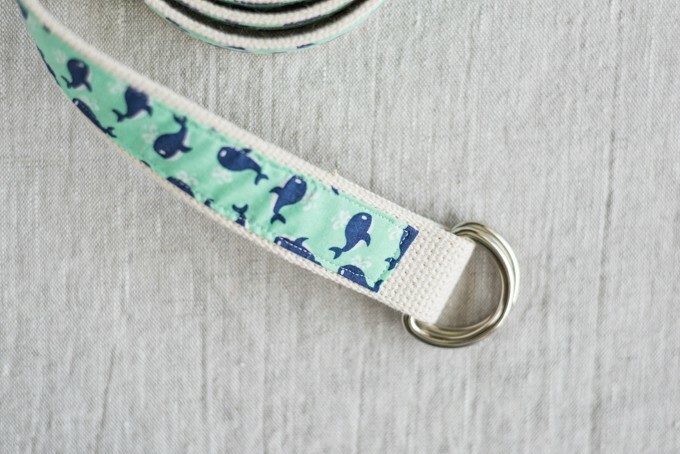 Learn how to make your own yoga strap with this easy tutorial! 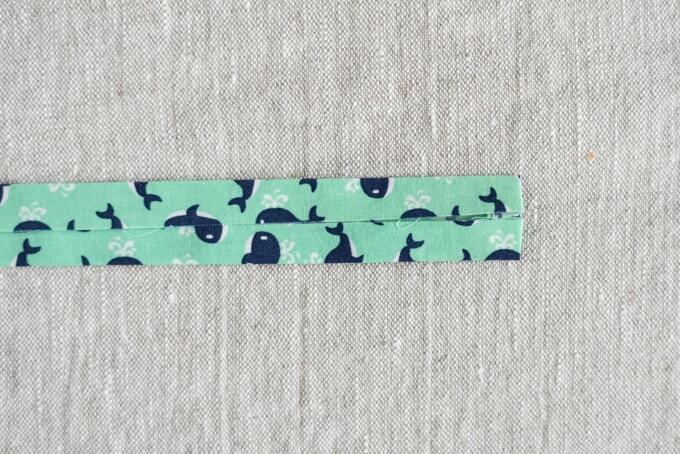 Last spring I decided to start making yoga straps for sale. 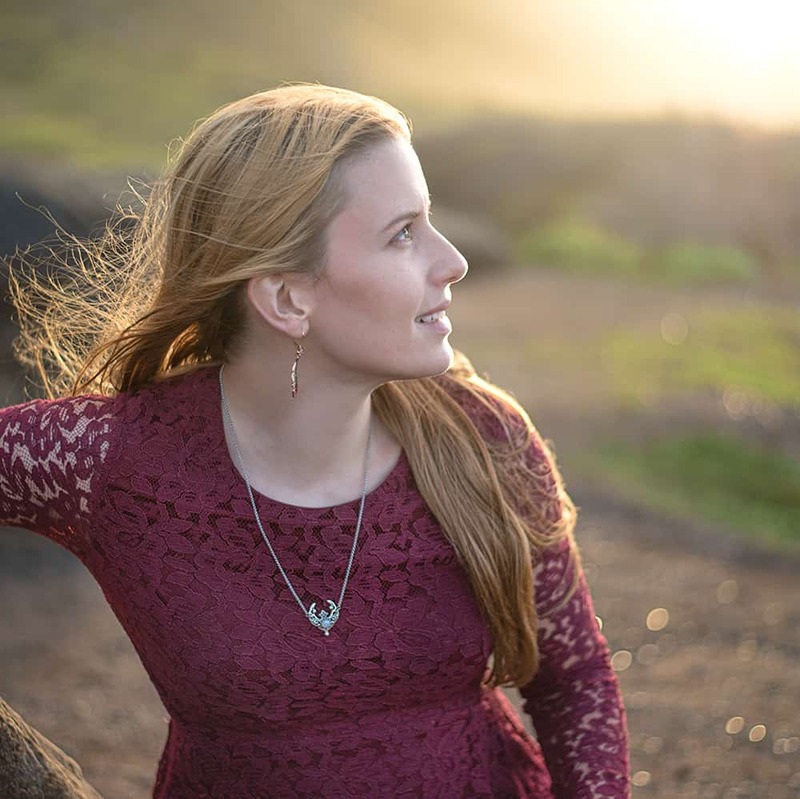 I got all the materials, made some prototypes and…got busy, went away for a month, and never listed then on Etsy. Eek! For various reasons, I’ve decided to put selling yoga straps on indefinite hold. 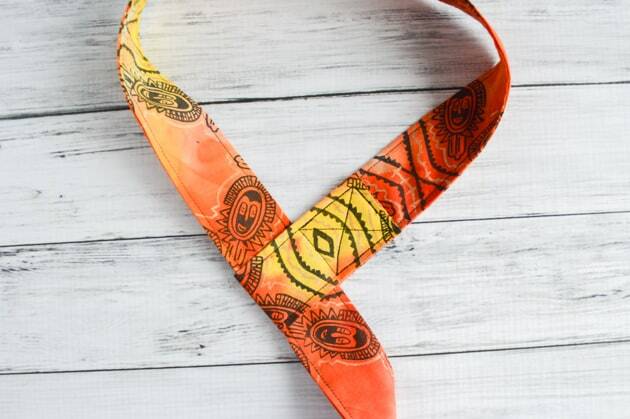 Because I get requests from people wanting to know if I make yoga straps (I do make yoga mat straps, so it’s a fair question! 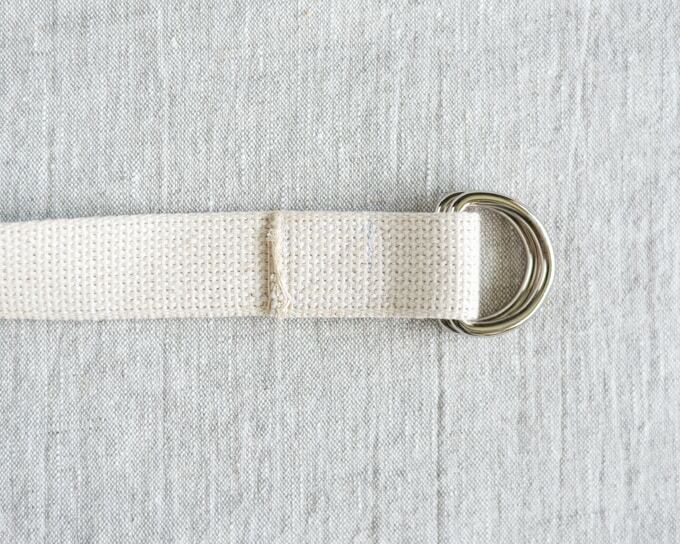 ), I decided to share this DIY yoga strap tutorial today. 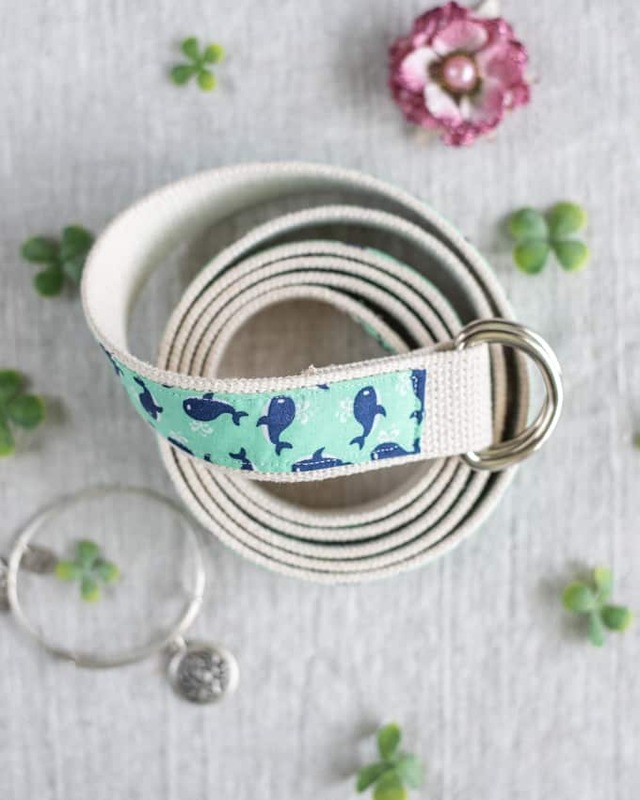 It’s fairly easy to make your own cute yoga strap decorated wth a fabric you like, plus you can make your yoga strap a custom length instead of relying on what you can find at the store. The measurements I give are based on a ‘standard’ 6 foot yoga strap. 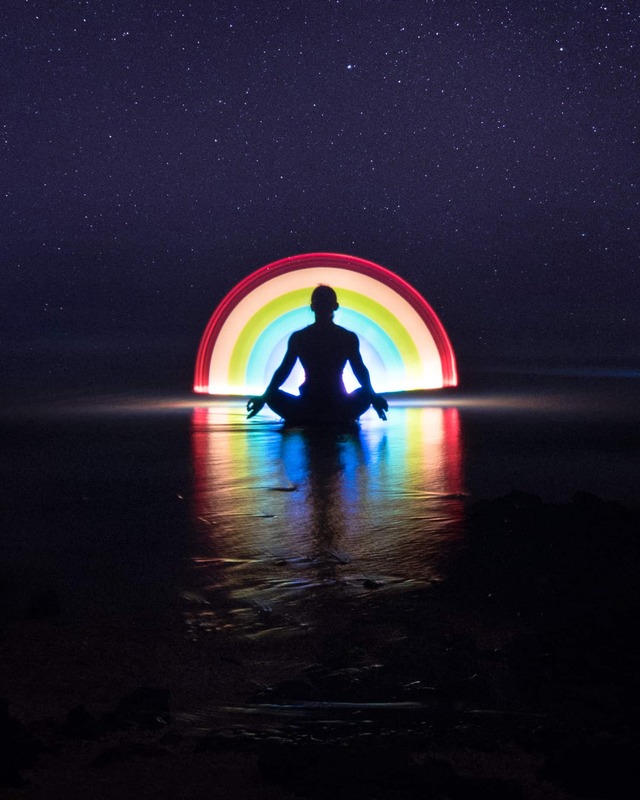 However, as we all know, every person is different! 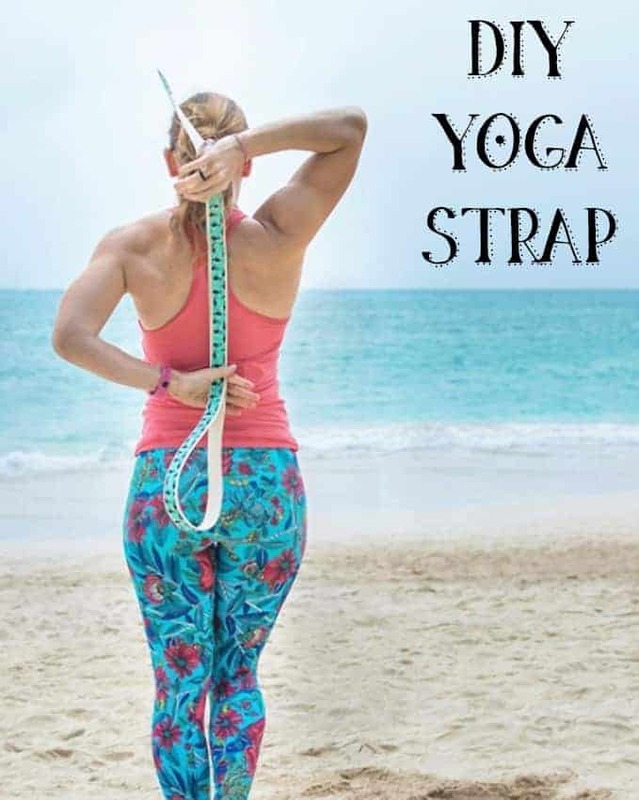 If you need a longer strap, please just modify the lengths as needed to make your own custom yoga strap. 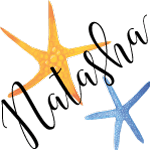 6’2″ of 1.25″ heavyweight cotton webbing, or more, if needed. 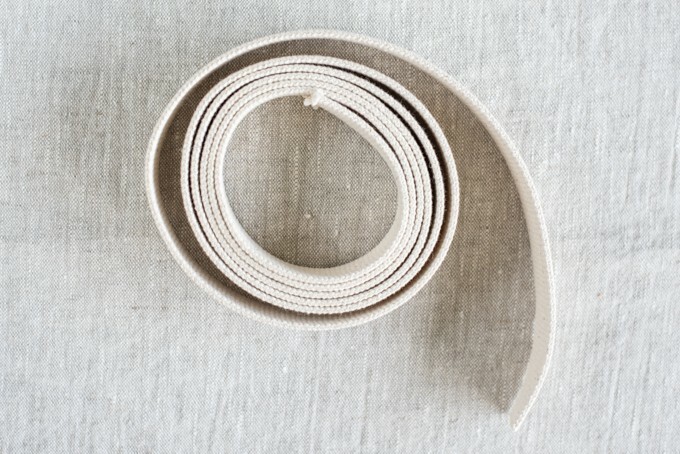 A webbing length of 6’2″ will give you a finished yoga strap that’s 6′ long. A lot of fabric stores have cotton webbing, but mine doesn’t. 🙁 I ordered my webbing and hardware from All Island Webbing. Decorative cotton fabric. You’ll need a piece just over 6′ long and 2″ wide, but it doesn’t have to be in a continuous piece. Measure and cut 6’2″ feet of webbing, or more if you need greater length. Treat the ends with FrayCheck to prevent unraveling. Iron your fabric then cut a strip that is 6’2″ long and 2″, or just slightly less, wide. If you can’t make a continuous strip of 6’2″, don’t worry! Cut mulptile 2″ wide strips, but make sure to add .25″ of length to each piece to account for stitching the fabric together. If needed, clip or pin strips right sides together and stitch with a .25″ seam allowance to piece together a continuous longer piece. 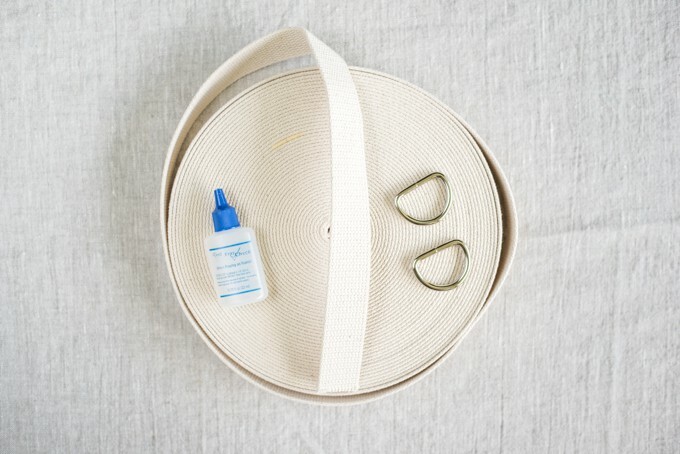 Insert the webbing through your pair of D-rings and fold over about 2″ of webbing. 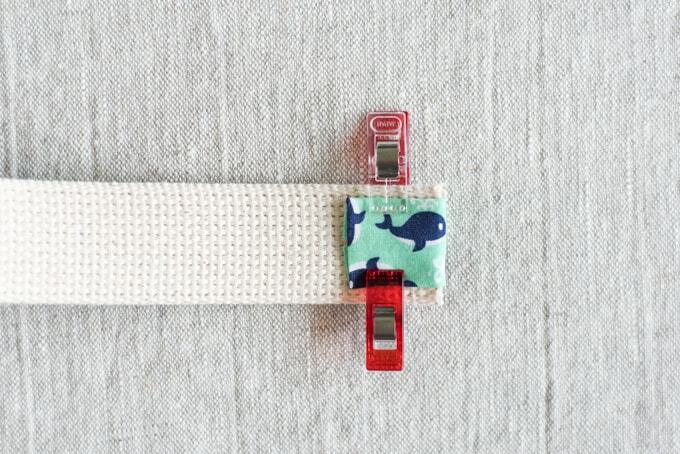 Hold in place with clips, then sew a box stitch. All you need to do is sew all four corners of a box and stitch an X inside it. It’s pretty simple! Stitch the fabric in place using a medium-length straight stitch. Keep fairly close to the fabric’s edge and make sure to stitch all the way around! I do recommend flipping the yoga strap over to stitch down the short end on the “back” side, as well. 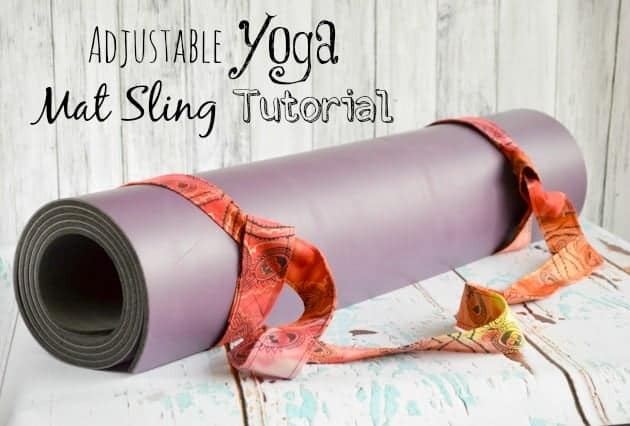 While you have your sewing machine out, you may also enjoy checking out my adjustable yoga mat strap tutorial! I’m glad you found this yoga strap tutorial useful and thank you for letting me know!